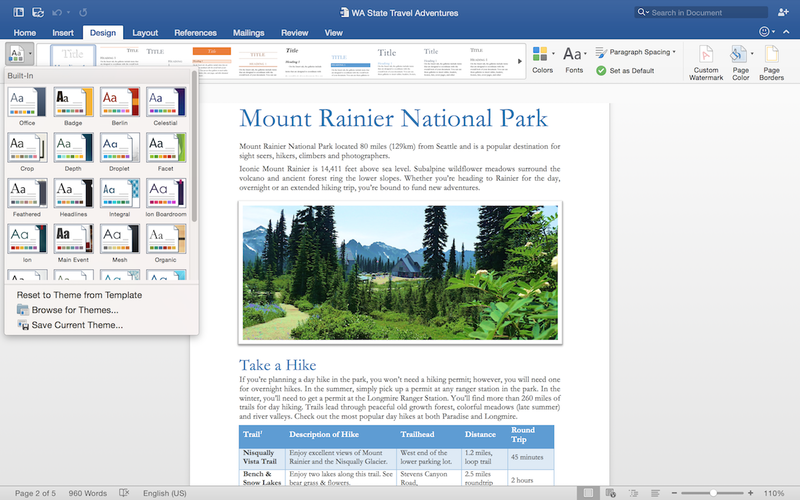 Microsoft Word 2016 16.14.0 – Powerful and beautiful word processor. Learning Tools improve readability: Give your eyes a rest. Adjust text spacing, column width, and page color. Or listen as Word reads your document aloud, highlighting text as it's read. Next story ON1 Photo RAW 12.5.0 – Fast RAW processor, photo editor, and plug-in collection. Previous story Papers 3.4.18 – Your personal library of scientific resources. Microsoft Powerpoint 2016 16.13.0 – Microsoft’s presentation designer.